Jack O’Connell (Starred Up) and Lily Collins (Mirror Mirror) will lead the cast of The Cradle for writer-director Hope Dickson Leach (The Levelling). Protagonist Pictures has boarded the project and will launch the script to buyers in Cannes. UTA and CAA handle North American rights. O’Connell and Collins will play Matt and Marissa, a couple who are expecting their first baby. Both are unprepared – Matt is having panic attacks and Marissa wants the nursery to be so perfect that she asks Matt to track down the cradle she had herself as a baby. Matt hits the road to track down the object in an attempt to keep his wife happy, soon making a discovery that will change their family forever. Director Dickson Leach’s previous feature The Levelling was BIFA nominated and won her a Scottish Bafta for best writer. She was also awarded the IWC Schaffhausen Filmmaker Bursary in association with the BFI in October 2016. The Cradle has been adapted from the 2009 novel by US writer Patrick Somerville, and is co-written by Somerville and Dickson Leach. Gail Mutrux and Tore Schmidt are producers for Pretty Pictures (The Danish Girl). Shooting is due to take place in summer 2019. Don’t miss out. 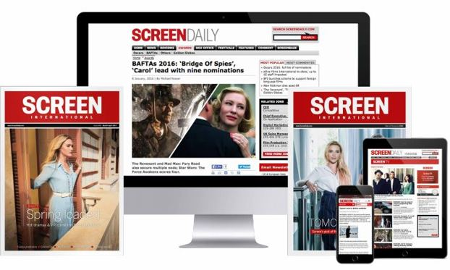 Subscribe from as little as £2.35 a week with our Cannes Film Festival offer and receive unlimited online access.